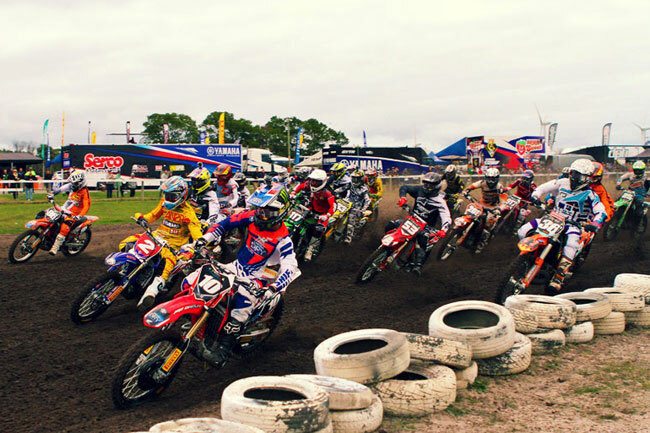 All you need to know about this year's Australian Motocross Championship! The 2013 instalment of the Monster Energy MX Nationals have been nothing short of both entertaining and fascinating. We’ve seen all sorts of twists, surprises, sackings, signings and boil-overs this year, with almost as much drama taking place off the track as there was on it. Today, MotoOnline.com.au breaks the series down as we answer some of the most frequently asked questions about this year’s championship. It’s been a cracker of a season in the 2013 Monster Energy MX Nationals. Image: Simon Makker/Makkreative.com. Will we see new champions crowned this year? Yes, in all three classes. In 2012 the victors were Josh Coppins (MX1, who subsequently retired), Ford Dale (MX2, out with injury) and Kayne Lamont (MXD, but out of the points hunt in MX2 this year). Serco Yamaha’s Luke Styke has already wrapped up the 2013 MX2 title after an emotional win at Toowoomba last weekend, while the MX1 battle has turned into a two-way stoush between Motul Pirelli Suzuki’s Matt Moss and Motorex KTM’s Todd Waters. The MXD silverware is looking like it’s again heading back to New Zealand, with Kiwi Hamish Harwood holding a comfortable lead heading into the final round. What are the main battles to look out for this weekend? There are two. There are two key battles that are likely to be waged this weekend. Todd Waters is 25 points in arrears and needs to dominate and pray Matt Moss has a shocker, but stranger things have happened in motocross (remember Luke Styke at Moree last year?) and nothing is guaranteed until the checkers fly. In the MXD class a great little battle has erupted between a strong-finishing Jay Wilson and former championship leader Jack Simpson. Just five points separate them and they’ll both be very keen to finish the season strong. How many MX1 competitors have won races this year? Seven. In a testament to just how stacked the premier class has been this year, seven different riders have claimed race wins in 2013. Todd Waters (Motorex KTM), Jake Moss (Campbell Mining Suzuki), Matt Moss (Motul Pirelli Suzuki), Billy Mackenzie (CDR Yamaha), Cody Cooper (Motul Pirelli Suzuki), Gareth Swanepoel (Carlton Dry Honda) and Kirk Gibbs (Motorex KTM) have all stood on the box. Interestingly, the only factory team that hasn’t featured on top of the dais this year is Monster Energy Kawasaki. 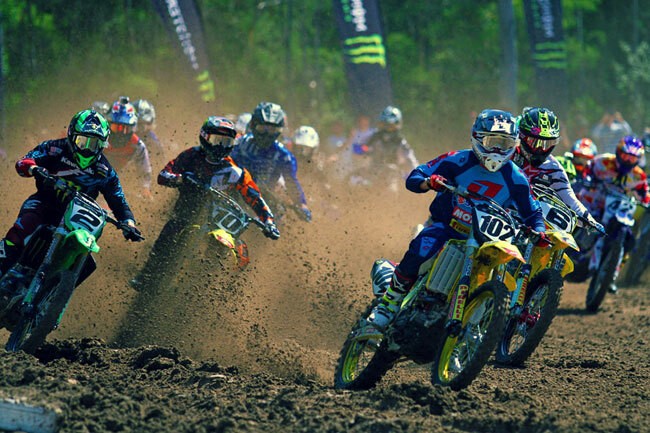 Why are we only seeing half-filled gates in the MX1 and MX2 class late in the season? Good question. In the latter stages of the season we’ve noticed a significant drop in rider numbers lining up behind the gate in both the MX1 and MX2 classes. A large number of injuries have wiped out at least five riders in each class, but there has been a noticeable lack of privateers. It could also be a combination of relatively expensive entry fees, no individual round monetary reward on offer, and a general defeatist attitude where the local heroes aren’t bothering to turn up if they know they’re going to get lapped and look like C-graders. Has 2013 been better than 2012? Yes. In our eyes, Williams Event Management have continued to build on the solid platform they’ve established over the past few years and delivered a championship that has seen great racing, a positive vibe in the pits, and reasonable turnouts to all rounds. Experimenting with the live broadcasting last weekend at Toowoomba has given a hint at how they might progress the series in 2014. Further improvements next year might possibly include a consistent live timing system… here’s hoping anyway. The MX2 class displayed a talented field of young new talent. Image: Simon Makker/Makkreative.com. Which round was the highlight of the championship so far? Either Appin or Toowoomba. As was the case in 2012, the racing we witnessed at Appin this year was excellent in all divisions. A fairly one-lined track meant it was tough to pass on and frustrating for riders, but at the same time that tightened up the field and made for some good stoushes. Toowoomba’s welcome return to the circuit was a far cry from the heinous mud-fest we witnessed in 2011. The track was perfectly prepped and the redesigned track with some decent-sized jumps made for both great viewing and racing. Who’s been the biggest revelation this year? Kale Makeham. Last year the Victorian privateer diddled around in about fifth place in MXD, but his 2012 Supercross win gave him a hell of a confidence boost. Makeham has flown the flag for the two-stroke fans all year and has been in outstanding form. His speed, talent and positive attitude have seen him sign a big MX2 deal for 2014 that will be announced after Coolum. A highly commended award must go to Hamish Harwood. No-one knew anything about the kid five months ago, but he has been a picture of consistency on his way to (probably) taking the MXD crown. And in addition, how about Kirk Gibbs’ four podiums to date in his maiden MX1 campaign! Who had the worst luck? Carlton Dry Honda. You’ve got to feel sorry for the team that won the 2012 title in the MX2 class. Signing Ben Townley, Ford Dale and Josh Cachia in the off-season should’ve all but guaranteed they’d be standing on top of the podium each week, but 2013 turned into a hellish nightmare. BT retired just weeks before the season started, Ford Dale wrecked his knee and was forced out at Broadford, Josh Cachia pulled out with a niggling wrist injury after Appin, MX1 stand-in Dan McCoy mutually agreed to depart, Jackson Richardson’s fill-in MX2 campaign lasted two laps before breaking his femur at Hervey Bay, and MX1 recruit Gareth Swanepoel has had a lacklustre second-half of the season, only punctuated by a brilliant win at Hervey Bay. The team are more than ready to put 2013 behind them and focus on a full rebuild in 2014. What’s the verdict on Super Pole? Mixed reactions. Not surprisingly, riders and teams have developed a love-hate relationship with the new Super Pole format. If they’re in that magical top five, they love it. If they just miss out, there’re a few choice words being used. Generally speaking, though, most people have enjoyed the new element and the entertainment and interest it brings. WEM are likely to keep the Super Pole again next year, although the jury is out as to whether there will be championship points on offer.